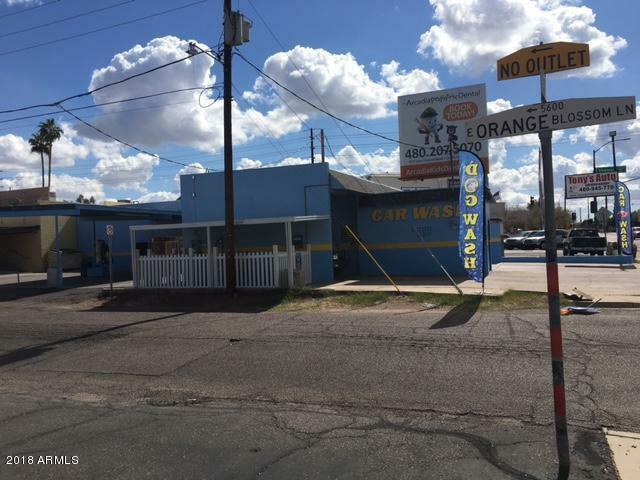 Rare re-development opportunity with active absentee owner business. This is a great investment opportunity. Zoned for office or retail. 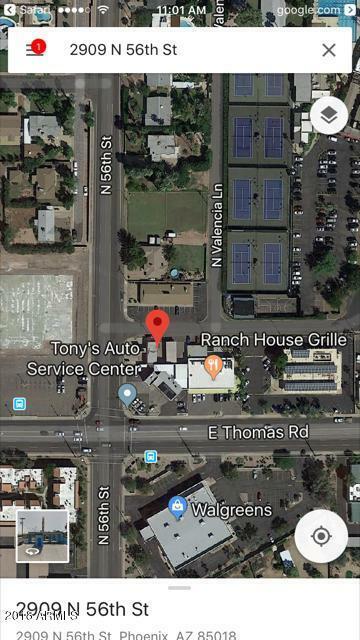 Just North of NEC 56th Street and Thomas at Orange Blossom Just West of the secondary entrance to the Arizona County Club. 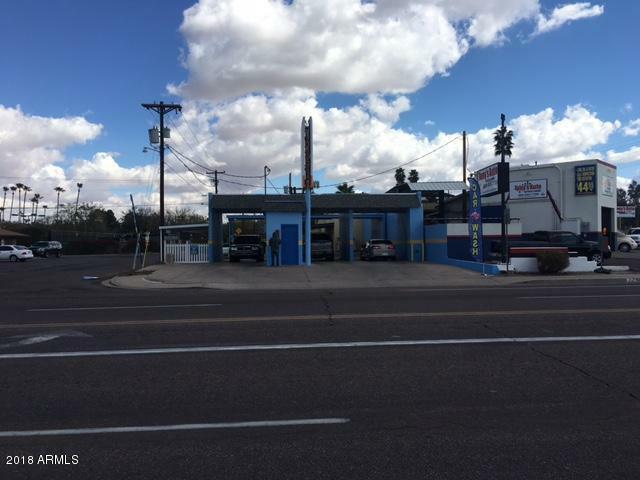 Currently run as a 3 bay self serve car wash and dog wash, 2 vacuums, Coke machine and vending machine with sales around $35,000 per year. Build your dream office, coffee stand or whatever fits your commercial/retail needs. Enjoy steady income while you have plans drawn up. Owner willing to carry or lease property. 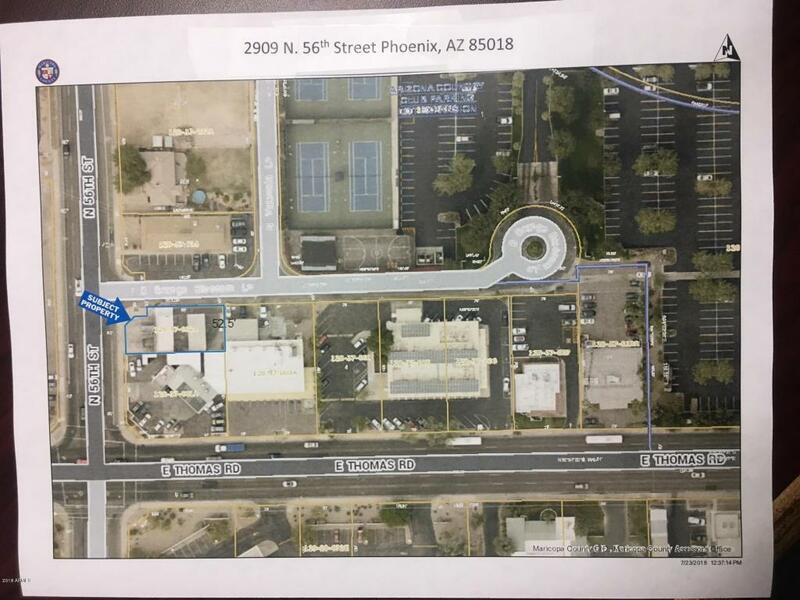 Commercial C-2 zoned lot in South Arcadia.